Flat foot is a condition where people do not have the arch in the middle of their foot and the entire sole touches the ground. Flat feet can cause pain in the foot and also lead to pain elsewhere in the body. Pain can extend from the foot to calf muscles, knees, lower back and hips. Of course, there can not be a treatment for flat foot because it is the shape of the feet. However, you can definitely try to keep the symptoms under control with exercise, wearing fitted insole shoes or even wearing an ankle brace if there is inflammation due to the flat foot. A bunion is a bumpy joint caused at the end of your big toe in your feet. The big toe pushes against the second toe and causes a bump in the joint. The skin at the bump can become red and sore. It can be caused by wearing tight, narrow shoes or also as a result of heredity. You can treat the bunion according to the effect it has and how much pain it causes. If slight inflammation, redness and soreness is experienced once in a while, you can apply ice to it. Wearing more comfortable shoes, using shoe inserts, and padding the shoes may also help relieve pain. If the situation worsens, you should see a doctor and take medicine for the condition. Not a tangible condition where you can see the disorder, diabetic foot is caused in diabetic people when they are unable to feel sensation in extreme parts of their body like the feet. It is important to treat wounds properly if you are diabetic especially on your feet since they are more prone to catching an infection, and even surgeries in case the condition is too severe. Athlete's foot is a common condition of the skin caused due to a fungal infection. It is contagious and therefore people around a person with athlete's foot should be cautious. It goes by that name because it is common in athletes. The condition can be treated by OTC medicines, prescribed medicines and also by soaking the feet in salt water or diluted vinegar to help dry the blisters. 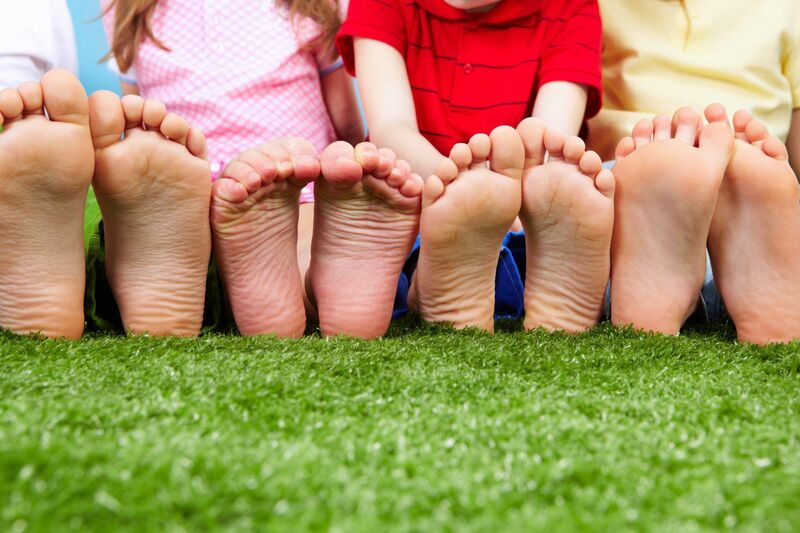 A very common condition caused in feet, foot corn is experienced by almost everyone at least once in life. Painfully bumpy corns grow on the sole of the feet or between toes and can be really painful if stepped on. Corn pads are the easiest way to handle corns. Available with regular pharmacies, you can use corn pads and also file the corn away. Castor oil and OTC medicines can also help. However, if the corns spread and cannot be treated at home, you should see a doctor.